Our mechanical and custom fabrication partners offer innovative solutions designed to meet the needs of any industrial challenge. Whatever your manufacturing need, WESCO Sales Group has the expertise, knowledge and network necessary to be your Pacific Northwest fabricated solutions consultant. Amada Miyachi is a provider of micro-joining equipment and systems for laser welding, laser marking and engraving, and reflow soldering processes. They also provide atmospheric glove boxes and turnkey systems. They offer free review and guidance with specific applications support through their manufacturing laboratory located in Southern California. Products are available in USA and W Canada. Boker's, Inc., is a metal stamping manufacturer of precision metal stampings, washers, spacers and shims. Custom stamping capabilities cover a complete range of sizes. Boker's Quality Management System (QMS) is AS9100/ISO 9001 certified. Boker's is a woman-owned company and products are available in the United States and W Canada. Fairchild Industries provides top-quality products in extruded rubber, molded rubber, molded plastic and extruded plastic, as well as elastomer solutions for customers worldwide. Products are available in the US and W Canada. Suspa offers a full product line of energy movement devices encompassing dampers, gas springs, locking gas springs, hydraulic and electromechanical lifting solutions. Products are available in the US and W Canada. Victor Aluminum is a company that specializes in alloyed alum-mag precision fabrication and high-end surface treatment. Products are available in the United States and Canada. 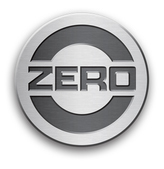 A worldwide supplier of protective cases and enclosures, ZERO's specialties include quality, deep-drawn and fabricated aluminum and molded plastic cases, enclosures and assemblies for the aerospace, industrial, medical, oil, gas, logistics, electronics and telecommunications markets. Products are available in USA.